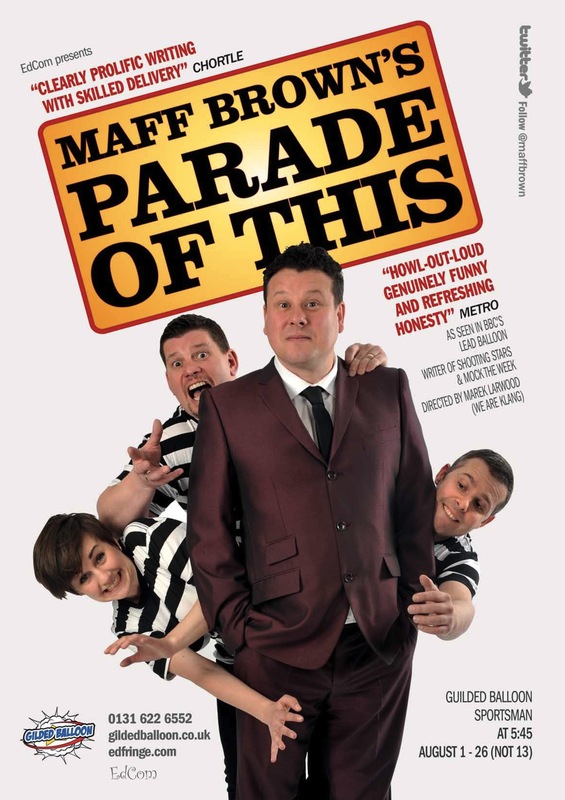 “Parade Of This” will be a sketch show from the award winning comedian and writer of Mock the Week/Shooting Stars. Directed by Marek Larwood (We Are Klang).What to expect? Quick fire gags with a smidgen of surreal and a soupçon of brilliance. “I think Maff Brown is very funny” Stephen Merchant.